The re-establishment of marine and freshwater invertebrates in the Mesozoic was relatively slow. 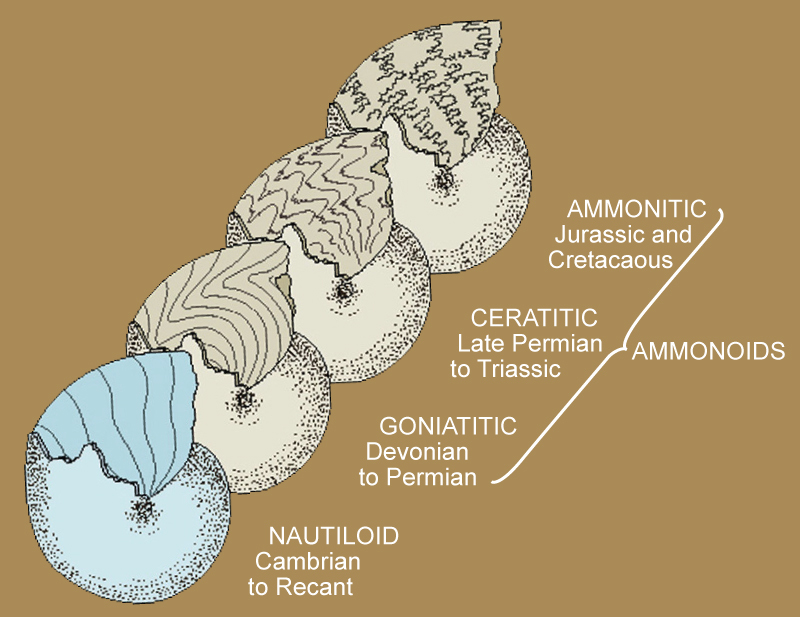 Brachiopods never achieved their dominance they held in the Paleozoic, and may have suffered competitively from the radiation of the more adaptive molluscan clams, snails and ammonoids in the Mesozoic. Mesozoic waters also were occupied by new aquatic reptiles, some of them large predators such as the now extinct long-necked plesiosaur and dolphin-like ichthyosaurs. Heterodonta are burrowers that feed primarily on suspended material. Ammonoids evolved from a single lineage that survived the Permian extinction into a diverse group with ceratitic suture lines of rounded saddles and denticulate lobes, so diverse that the Triassic could easily be called the "Age of Ceratites". Other forms with more complex ornate ammonitic suture patterns appeared for the first time. Only one crinoid lineage survived during the Permian extinction, which gave rise to the subclass Articulata characterized by rounded, closely fitting armor plates and mobile flexible arms. Throughout the Mesozoic era, this lineage had begun to diversify and is the only crinoid subclass that still exists today. 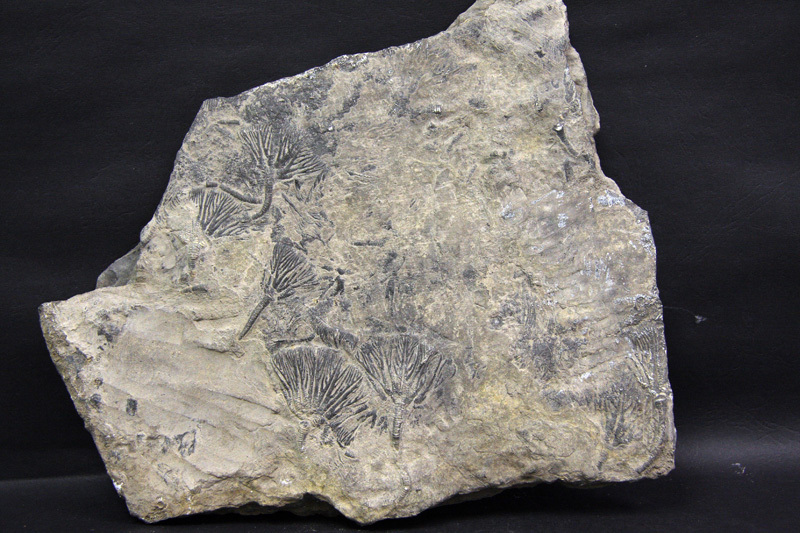 Traumatocrinus from Guizhou in China are up to 1m tall crinoid species that may represent some of the first articulate crinoids.